There is never enough anime’. The more anime’ shows there are to watch, the better. Otakus (anime and Japanese culture fan in English) can rejoice as Hero TV brings back titles that are both familiar and new to everyone without scrimping on any of the action, comedic moments, or even romantic ones this month of January. 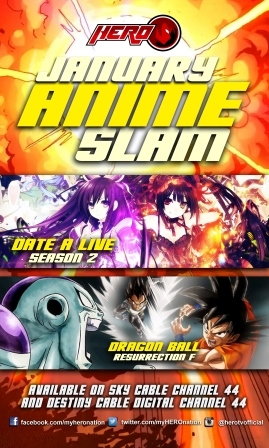 Otakus should also not miss out on Hero TV’s new offering, “Date A Live II,” which tells the story of Shido Itsuka, a normal high school teenager at Raizen High with the power to seal spirits that only knew death and violence in their lifetime.